Brighton Beach, was the main base and favourite swimming spot for Anzac troops during campaign. Beach Cemetery, contains the graves of over 300 Commonwealth soldiers including John Simpson. 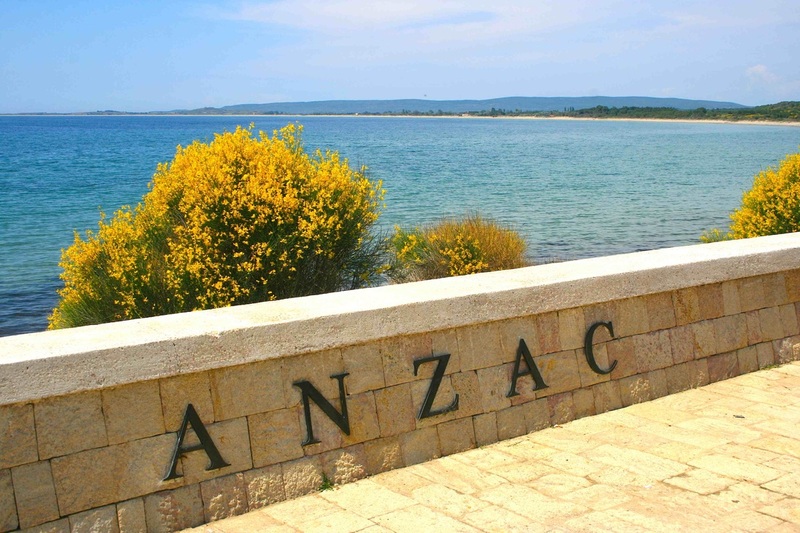 Anzac Cove, was the landings of ANZACS in the Gallipoli campaign on 25 April 1915. 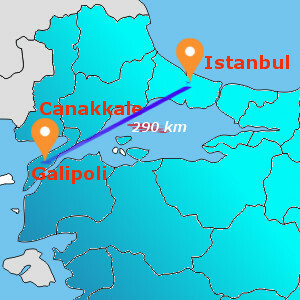 Anzac Commemorative Site, where dawn services are held on Anzac Day, was built by the New Zealand and Australian governments and with the approval of the Turkish government. Respect to Mehmetcik Statue, is a sculpture depicting a Turkish soldier carrying an allied soldier. Lone Pine Australian Memorial, the name comes from a single pine tree which grew on the battlefield. It was destroyed, but the cones were collected and taken to Australia, then sent back to Gallipoli many years later. Johnston’s Jolly, was occupied by elements of the Australian 2nd Brigade on 25 April, accessed by a road that marks what was the thin strip of no man’s land between the Turkish and Allied trenches. Turkish 57. Infantry Regiment Cemetery, the 19th division commander Ataturk told his men: “I am not ordering you to attack. I am ordering you to die. During the time before we die other forces and commanders will take our place”. The Nek, a narrow bridge of land and a vitally important position on the northern end of the Anzac front line and the scene of a tragic attack by the 3rd Light Horse Brigade at down on 7 August 1915. Chunuk Bair New Zealand Memorial, which the Allies aimed to occupy because of its strategic location overlooking the peninsula. They failed and Mustafa Kemal became a hero.